The placard on the monument near the Ohrdruf camp. Photo courtesy of Bob Patton. 2005. Col. Douglas Dillard, with his wife Ute, laying flowers on the Ohrdruf monument. Photo courtesy of Col. Dillard, 2011. 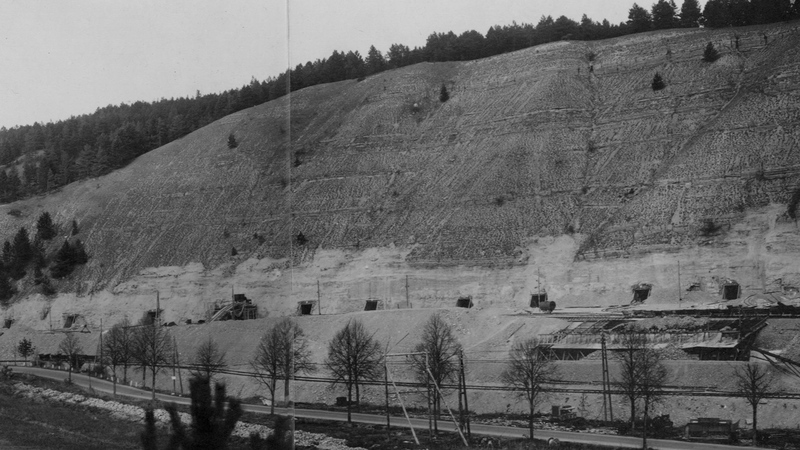 In November of 1944 the Nazis created a sub-camp of Büchenwald called SIII near the town of Ohrdruf to dig tunnels into the mountainside at Jonastal, about 6km from the Ohrdruf camp. In April of 1945 the camp was uncovered by American soldiers of the 89th Infantry and 4th Armored Divisions. 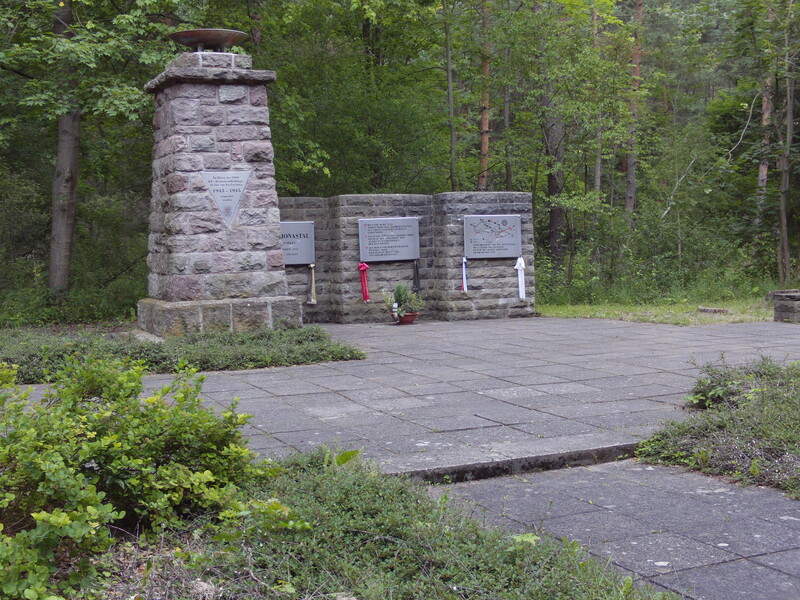 Ohrdruf was the first camp to be found by Allied soldiers. 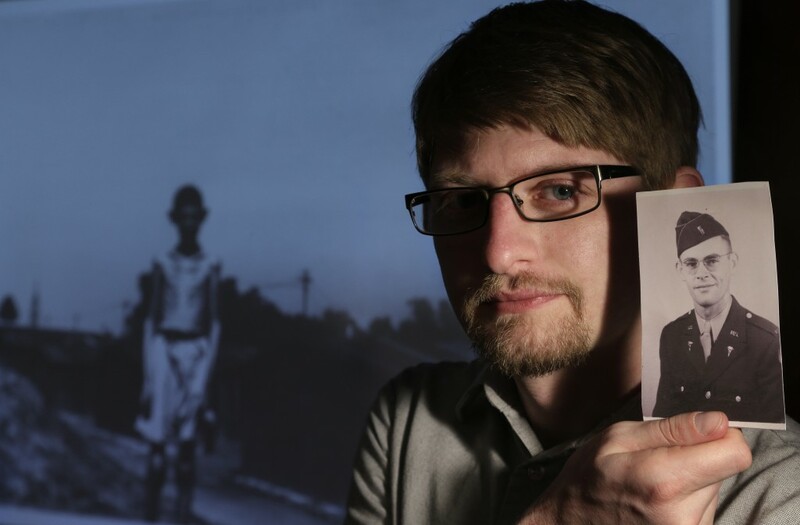 Recently, as my film 16 Photographs At Ohrdruf is starting to find an audience and have some special screenings, I’ve been in contact with many veterans about the camp. The film includes interviews with 9 veterans, but as word spreads about the film I’ve talked with several more. The most notable of these is Colonel Douglas Dillard, who fought in WWII with the 82nd Airborne Division. His wife, Ute, is a German national from the Jonastal area, and active in the Jonastal Foundation. 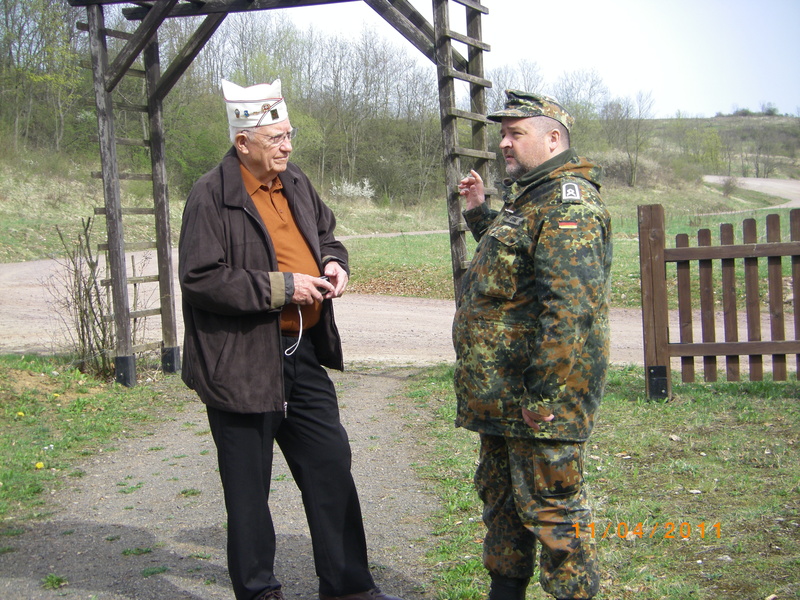 Recently we’ve been discussing the possibility of screening the film at a special commemorative ceremony at the Ohrdruf/Jonastal memorial on April 6, 2013. 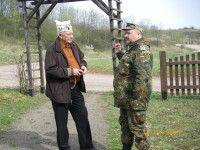 Col. Dillard with a German solider and guide. Photo courtesy of Col. Dillard. 2011. Also, I’ve kept actively in contact with Bob Patton, a veteran of the 65th Infantry Division. My grandfather, who is the impetus for the film, also served in the 65th. Mr. Patton did not visit Ohrdruf during the war, but was one of the liberators of the infamous Mauthausen camp. Bob is an active supporter of the film, as well as one of the main forces behind the 65th Division reunions and annual newsletter. All of this is to introduce the photos they have sent me in the past few days. 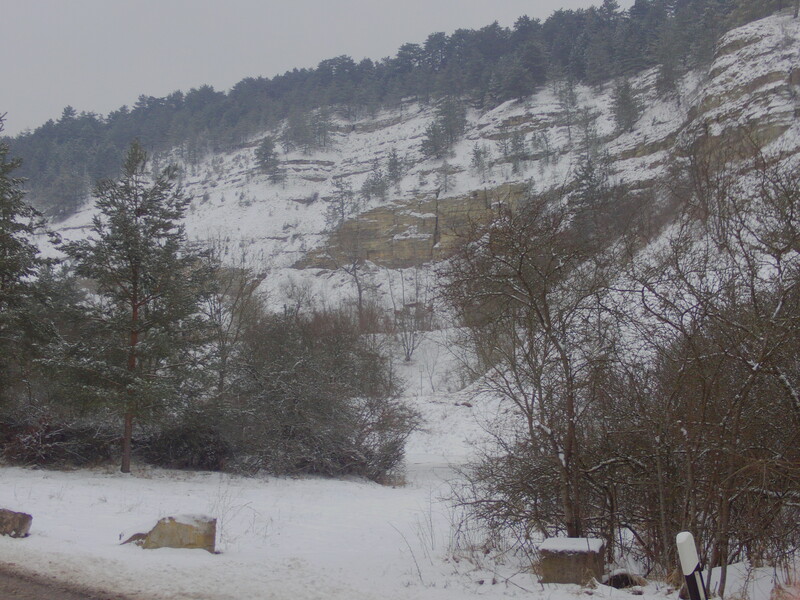 They show how things look at the Ohrdruf and Jonastal sites today. Before starting this film, I knew nothing about Ohrdruf or what happened there. Now that I do, I think it is a shame that the world has forgotten this place, and I’m proud to know these veterans who return as often as they can to lay flowers and remember what happened there. I feel incredibly honored that they have shared these photos, and hope they encourage more people to learn about this place. 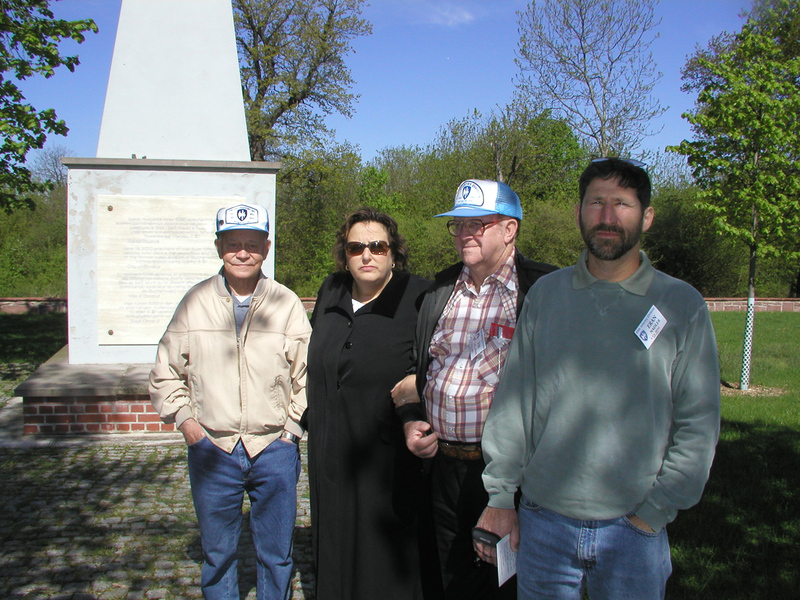 At the Ohrdruf monument. Note the 65th Division patch on the hats of the veterans. Photo courtesy of Bob Patton. 2005. The monument to those who suffered and died at Jonastal. Photo courtesy of Col. Dillard. 2011. 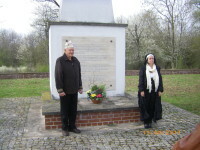 The Jonastal Foundation will conduct a wreath laying ceremony at the mass graves that are still at Ohrdruf. 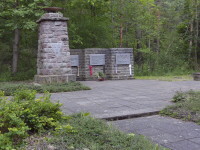 The old concentration camp site is located on a German Army training facility so the Jonastal Foundation must first obtain permission to go on the Ohrdruf German Post. That is not a problem and such commemoration services have been done in past years. Col Dillard and his wife Ute, a German national, participate in the ceremonies and will be present on 6 April 2013 to honor the dead. Col Dillard has recently sent a letter to President Obama asking that a U.S. official attend the ceremonies, expecially since that has not been done in the recent past, even though President Obama’s great Uncle Charles Payne was with the American unit that liberated the Ohrdruf camp in 1945. Hopefully, the President will designate someone to represent the US at the 6 April ceremony. Jonastal site today. Photo courtesy of Col. Dillard. 2011. Jonastal in 1945. 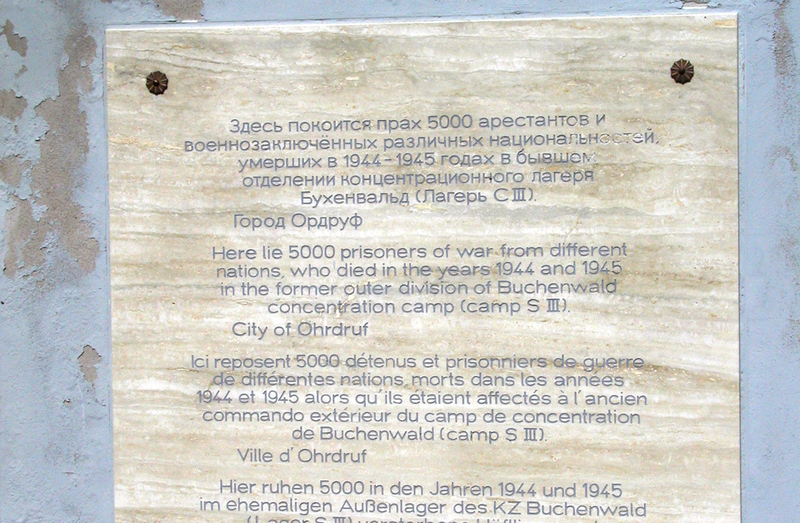 Image used with permission of Sammlung Gedenkstätte Büchenwald.